The ragas fill the morning air at 4 AM in the Darbar of the Guru. People flock in to listen and tune into the rhythm. Reading the Holy Scriptures, listening to the kirtan, they sit and recite, lost in the embrace of the Holy One. 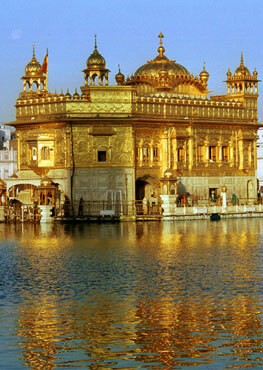 He sits in the Darbar Sahib, helps in the langar and does sewa. The words of the Gurbani reach his mind but don't touch his soul. His lips move zealously with the words of the kirtan but fail to be understood. What he understands are mere words but not the inner meaning, such is the stance of man… ignorant to the meaning of the teachings of our Gurus. But hidden behind those words are a meaning, waiting to be understood. A friend of mine, a Punjabi language teacher, can make out the meanings of a few lines, but that is it. The meaning does not touch her life. Our Gurus recorded their worldly experiences, sayings and teachings infused in the Gurbani to lead us ahead in life. Why not learn the meaning rather than just recite thoughtlessly? As much as it is significant to recite the Bani, the meaning is just as important. Guru Angad Dev Ji inscribed, "In the morning during the fourth pehar (watch), they who remember God feel delight, they love to go to streams for exercise and bath. 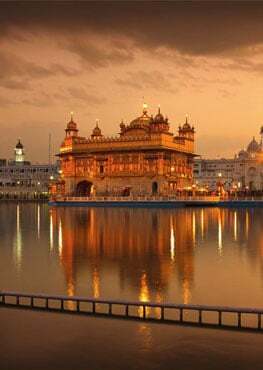 And endeavor to learn and understand the True Name in their hearts and lips, they are the true Sikhs". Guru Hargobind Sahib had taken up education as a necessity to connect with God and step into his embrace. The education given by the Gurus extended to the scriptures of the Gurbani. Sadly, their teachings are lost in the daily banter of hectic lives with just visiting Gurudwaras or chanting His verses without knowing the veiled trove of knowledge. To truly be a Sikh, we need not acknowledge His verses by mere recital, but by holding His presence in our heart and practicing His teachings in our daily lives. As He says, "Salvation can only be gained by education and knowledge and not by futile acts." Thank you so much for reading. I am a nestling in the world of the Guru, on the path of learning His teachings. Please do let me know if you have any suggestions which may enlighten me and fellow readers. I am a student currently pursuing a Bachelor's degree in Computer Science. I love to blog and hence have started my own blog.